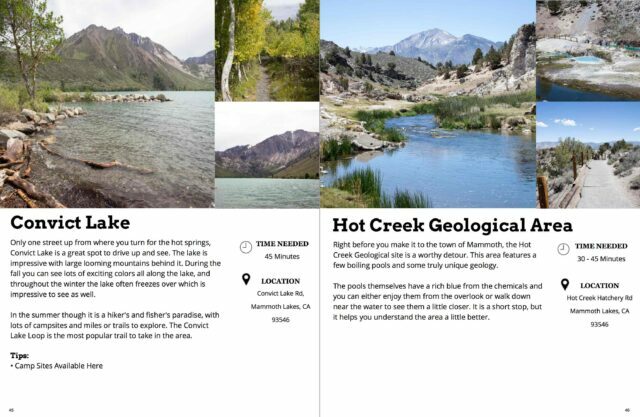 I currently have two ebooks available for two of my favorite road trips in California. I plan to have more available in the next year and please let me know via email if you have a specific book you would like to see me do. Thanks again for reading this blog and for supporting it through the purchase of these ebooks! Here is a preview of what the book looks like. 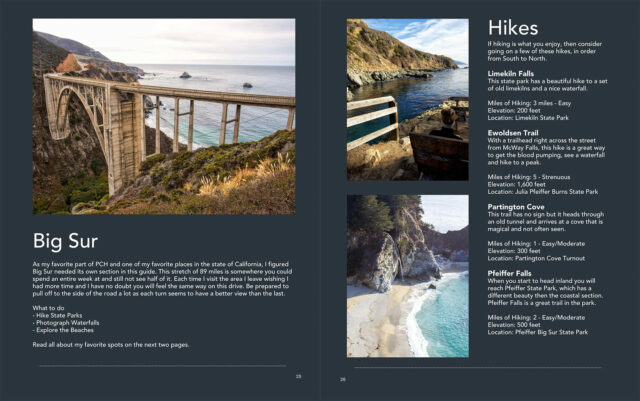 It is 58 pages long and contains a ton of information for planning your 6-day road trip on the iconic coastal road. Here is a preview of what the book looks like. This book is over 70 pages and it has some of my favorite spots along Highway 395, which is the road that hugs the Sierras in the eastern part of California.